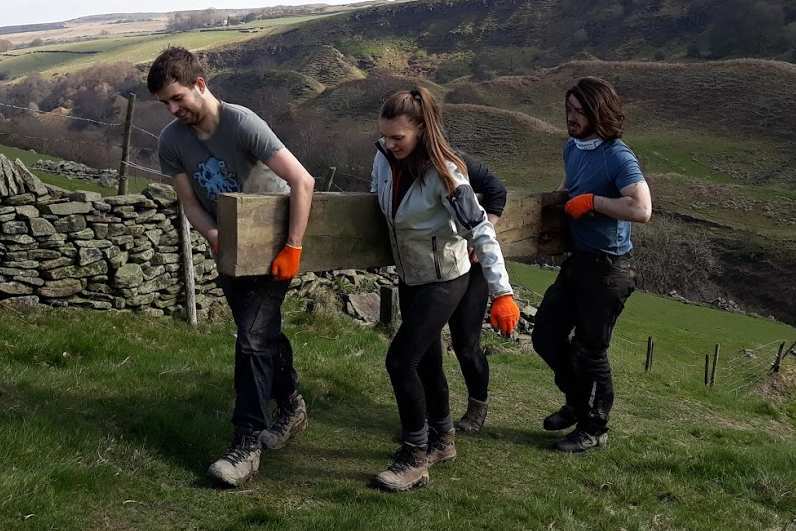 I have only recently started working for Contours Holidays, so I was uncertain of what to expect when I was invited to help out with some conservation work in the Peak District National Park. 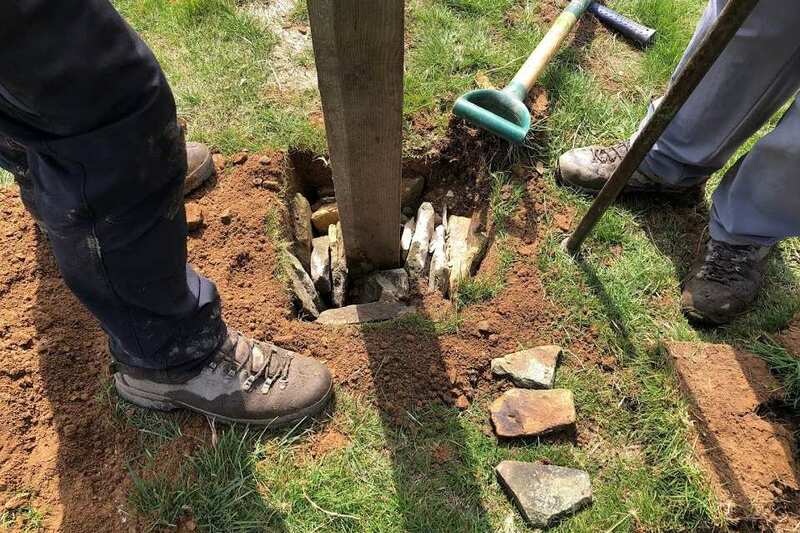 Our project was to remove a small, wooden bridge and erect two waymarker posts at Abney Grange. 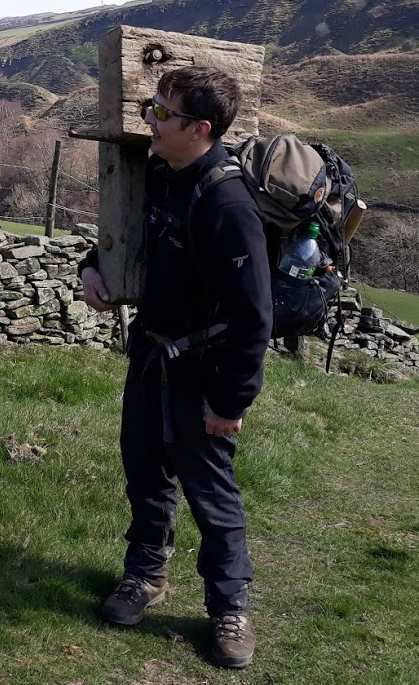 Just the journey to get there boasted plenty of beautiful views that boosted my motivation. 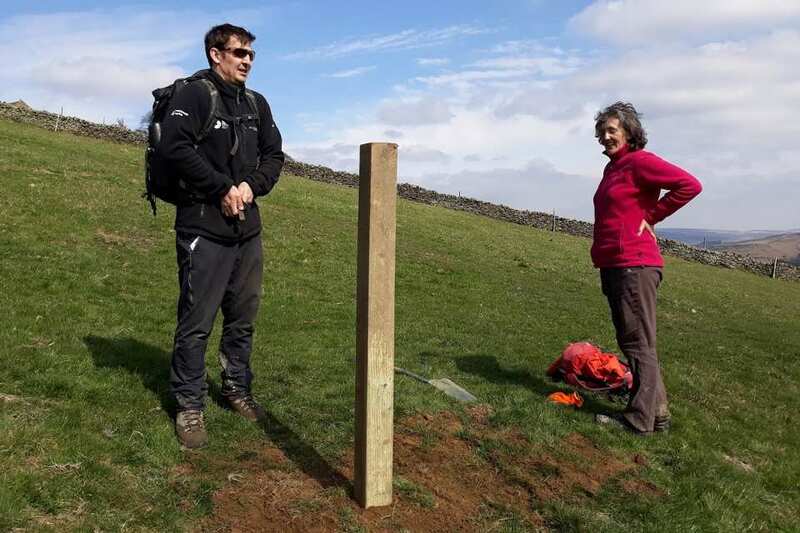 We met our Peak Park Conservation Volunteers leaders — David and Theresa — at Surprise View Car Park, then hopped on a mini bus to Abney Grange. We were surprised to be greeted with sunny weather and a calm breeze; we cast our raincoats and jackets aside and headed to our worksite. 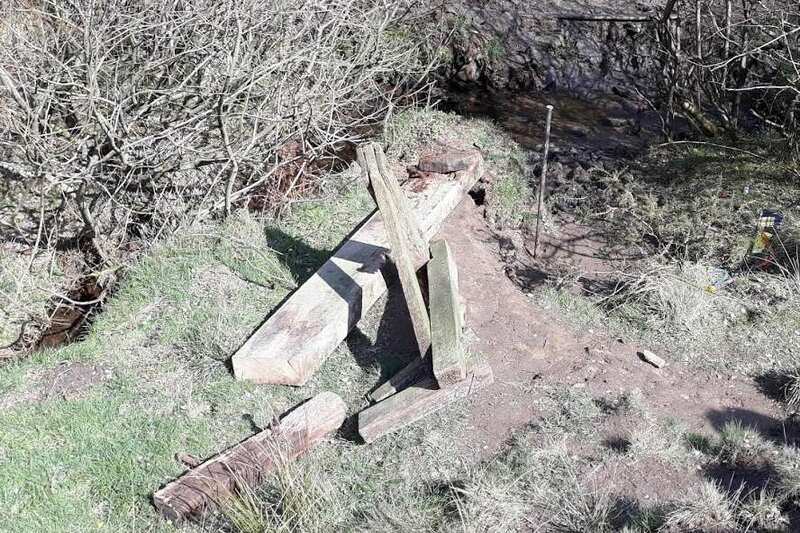 As we approached the footbridge — which had been wrongly placed far from the public footpath over a small stream — we saw that it was simply a small, wooden feature that had definitely seen better days. A swift kick and job done, right? We shall get to that later. The Contours clan and our two leaders headed back up the hill to the minibus to retrieve our tools and split into two teams. One would take on the job of dismantling the footbridge, and the other would erect the waymarker posts. I opted for the latter, before journeying to our first mark and setting to work. Our group had the fun of meeting "The Persuader", a heavy, iron rod about one metre in length with a chisel-like feature on one end. We set about digging a hole, using The Persuader to remove any rocks that threatened to stop us from our task. 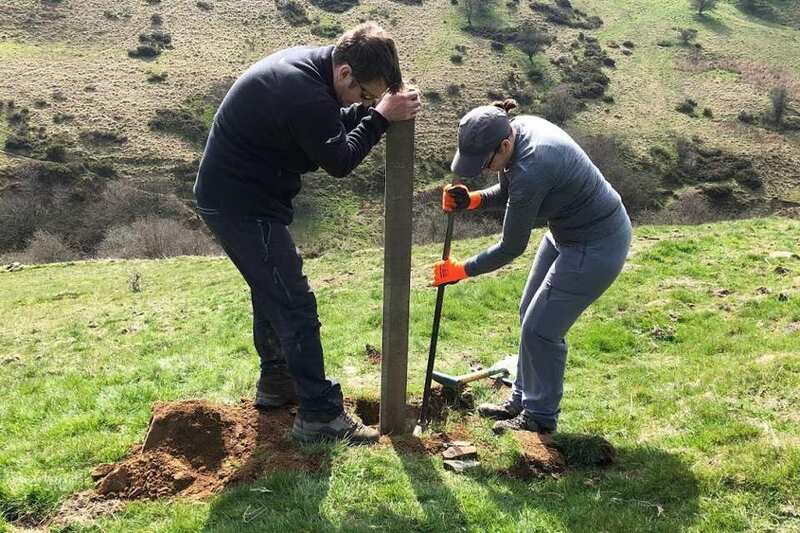 We put the post in place, wedged in a few rocks to keep it steady and added the waymarkers to guide walkers. The job was done and we were feeling good. We met with the other team whilst they were taking the bridge down. My earlier assumption that a swift kick would take the whole lot down was, in fact, entirely wrong. If it was not for the full team working side by side with endless motivation, that bridge would have outlasted the Earth. Taking it in turns, we continued to saw, Persuade, curse, hammer, kick, twist, and finally succeed in defeating the bridge. 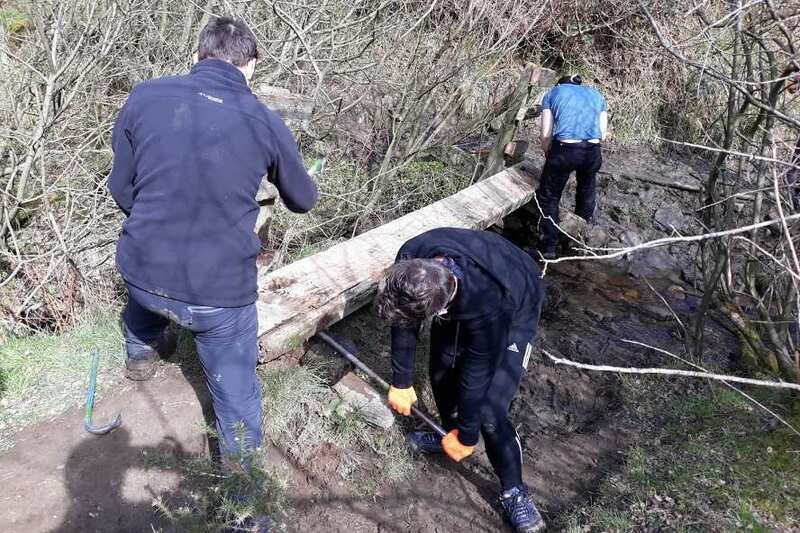 Covered in mud and sweat, an unspoken decision to have a break was agreed upon. We let our boots and gloves dry in the sunshine while we watched a group of gliders soar in the sky and listened to the trickling stream. Tranquillity was over us all once again. The next part was perhaps the most arduous. We needed to take the destroyed bridge back up the hill to the road, ready to be collected. At this point, three of our team set off to plant the second waymarker. 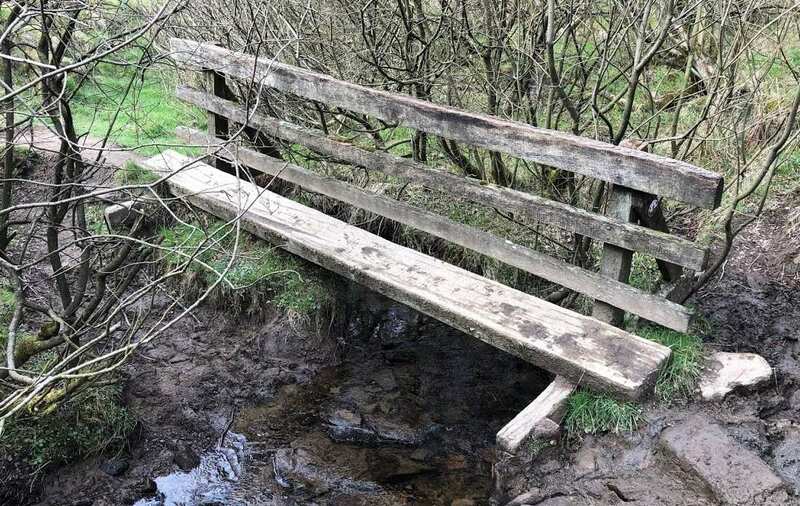 Just by looking at the bridge, you would not have expected it to require more than three people to carry it. Even in pieces, the bridge was a difficult task to handle while going up the steep hill. But again, teamwork was the key to our success! 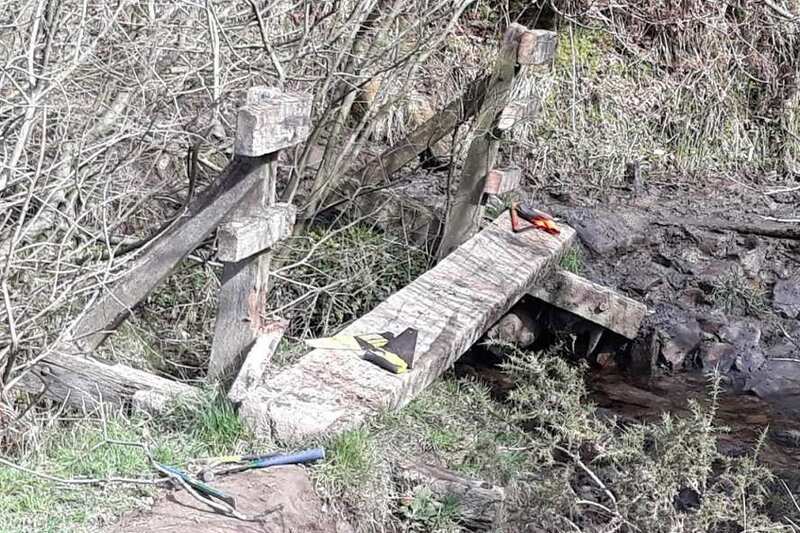 Once we had used the saw to make the awkward pieces more manageable, the team started a steady back-and-forth up and down the hill, ferrying the remains of the bridge and our tools back to the road. The day was certainly hard work, but what we had managed made us all feel very accomplished. I am already looking forward to our next conservation day, whenever that may be! As a result of this day out, I realised just how open and friendly the Contours Holidays staff really are. 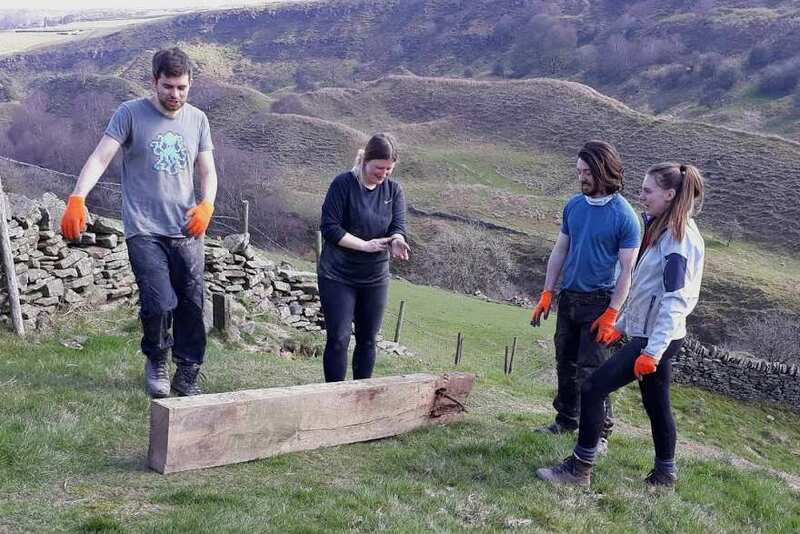 Their sense of humour and ease of conversation is very welcome; not just during our extra curricular activites, but in all aspects of our work environment.